The Executive Board of the International Monetary Fund (IMF), concluded on 6th July, 2015, that Tanzania’s macroeconomic performance remains strong, after the second review of its program in the country under the Policy Support Instrument (PSI). 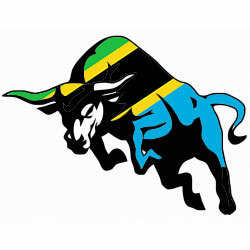 “Macroeconomic performance in Tanzania remains strong and medium-term prospects are favorable. Performance under the Policy Support Instrument was satisfactory through December 2014, but weakened in early 2015 due to a range of factors, including delays in mobilizing external financing and donor support”, said Mr. Min Zhu, IMF’s Deputy Managing Director and Acting Chair. “The draft 2015/16 budget, which targets an underlying deficit of 3.5% of GDP, is built on more prudent revenue and foreign financing assumptions”, mentioned Mr. Min Zhu, in a response to the current global slowdown, and crisis in Greece and the Baltic countries. “The current monetary policy stance is appropriate, delivering high growth and low and stable inflation. The use of foreign exchange intervention should be restricted to smoothing volatility in the foreign exchange market, with higher reliance on domestic-currency instruments to address excess liquidity situations”, he added. The PSI helps low-income countries to design effective economic plans that once approved by the IMF, are addressed by this entity to international donors, multilateral development banks, and foreign markets. The PSI has helped Tanzania to maintain macroeconomic stability, to preserve debt sustainability, and to promote more inclusive growth by job creation, can be read in the release. Tanzania has one of the fastest growing GDP, according to the World Bank, since the year 2007 it has grown from USD 21.5 billion to USD 49.1 billion in 2014, a growth higher than 100%. Inflation has been quite stable without major fluctuations around 7.5% annual RATE for the same lapse of time. On the other hand, the exchange rate has been fluctuating between TSZ 1,600 and 2,400 per USD, and with a variation of 50%, makes it the weakest point for Tanzania’s economy.